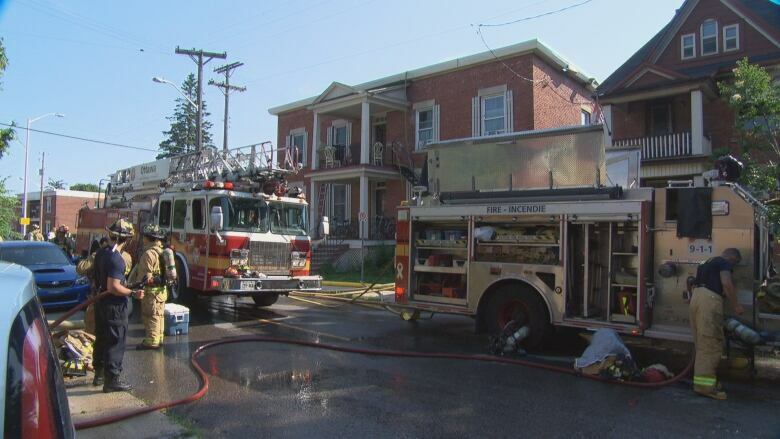 Fire crews in Ottawa were busy on Monday after three fires broke out. A two alarm fire in Old Ottawa East has left nearly 25 people displaced while a family of four was forced from their home in Arlington Woods. 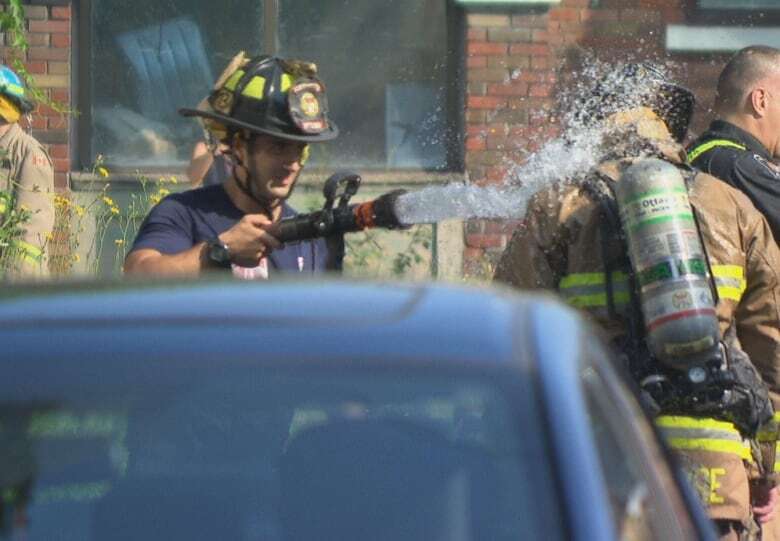 About 25 people can't return to their home in Old Ottawa East after a two-alarm fire broke out in a small apartment building. Firefighters received a call at around 8 a.m. to the three-storey building at 135 Concord St. South. When they arrived, they saw smoke coming from the roof and declared a working fire. The nine-unit building was evacuated of 20 people, according to Fire Services, and the fire was under control in about an hour. Several pets, including cats and dogs, were also rescued. There are no reports of serious injuries. However, one firefighter suffered a sprained ankle. There is no estimate of damage. However, the building sustained enough damage that residents can no longer live there, and an estimated 25 people are now displaced, firefighters said. Platoon Chief Jim Crawford couldn't confirm if the extremely hot temperatures were a factor in the blaze, but didn't rule it out. "It is always a possibility in this type of heat," Crawford said. "Everything is working extra hard." A few hours later, at around 12:30 p.m., fire crews were called to a home at 35 Parkland Cres. in the Arlington Woods neighbourhood where a mattress had caught fire in a second floor bedroom. Two adults and two children in the home were able to get out safely and the blaze was extinguished within minutes, Ottawa Fire Services said in a news release. The family cannot currently live in the house, but are not in need of victims services, firefighers said. The damage in that fire is estimated at $20,000. A third fire took place late afternoon Monday at 146 Bayswater Ave.
All occupants were able to leave safely from the three-storey home. At least four people are displaced, fire services say. The estimated damage is $300,000. Ottawa firefighters salvaged a large art collection from the second floor of the home.